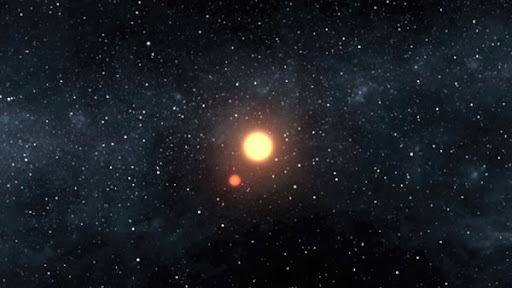 When we are going to approach to the binary system Kepler-16 (image source) we'll see two different stars: the largest of the couple, the star A, is a K dwarf with a mass of about 0.69 solar mass and about 0.65 Sun's radius, and a little red dwarf, the stra B, with a mass of about 0.2 solar mass and about 0.23 Sun's radius. But when we'll arrive at about 0.5 au from the gravitational centre of the binary system we'll see a great surprise: a little planet with a mass of 0.333 ± 0.016 and a radius of 0.7538 ± 0.0025 those of Jupiter(1). Nevertheless, for any age greater than 0.5 Gyr, the planet’s interior would include 40-60 Earth masses of heavy elements according to standard planetary models(3). This would imply a composition of approximately half gas (hydrogen and helium) and half heavy elements (presumably ice and rock). The surface temperature (170-200 K), instead, seems more certain. This is pretty neat- but Kepler 16b is cold and gaseous. 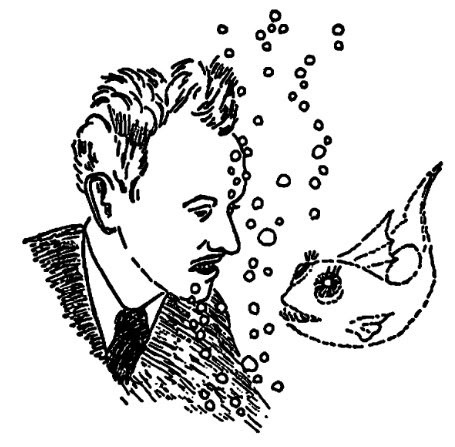 If it harbors any form of life, it cannot lifeforms we are accustomed too. Maybe it has moons similar to Europa that could have liquid oceans beneath their icy surface- but any forms of life their would never see the double stars. They would live in the inky blackness of a deep extrasolar sea, having only the flashing lights of strange deep-sea creatures to navigate by. I have a question for any astrophysics nerds reading this- is it possible for a planet to have a stable orbit in the habitable zone of the Kepler 16 system, or any other binary system? 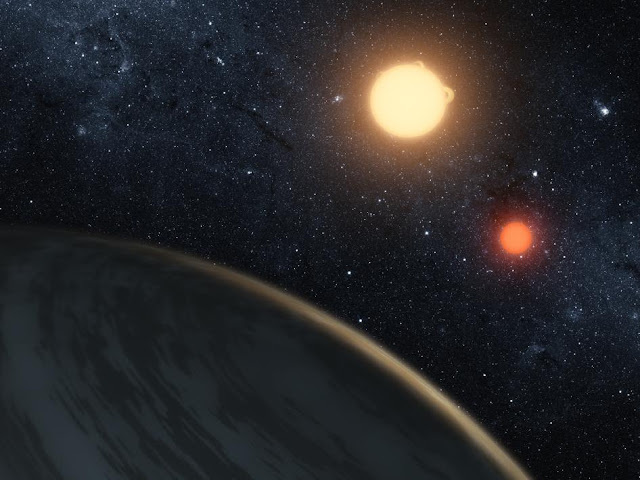 If it is, perhaps someday a human astronaut will see double suns in the sky of an alien world.